The decisions of the national headquarters of the APC, Nigeria’s ruling party, should be ignored, a governor of the party has said. Ibikunle Amosun, the Ogun State Governor, said this on Friday while addressing party supporters. APC national chairman, Adams Oshiomhole, in Ogun. Mr Amosun, an ally of President Muhammadu Buhari, has been having a running battle with Mr Oshiomhole. The crisis got worse after Mr Amosun’s favourite to be his successor lost out in the politics of the APC primaries. The governor blamed Mr Oshiomhole, ex-Lagos governor Bola Tinubu and ex-Ogun governor, Segun Osoba, for his ordeal. He then vowed to work against Dapo Abiodun who is the APC governorship candidate for next year’s election and has the backing of Messrs Tinubu and Osoba. 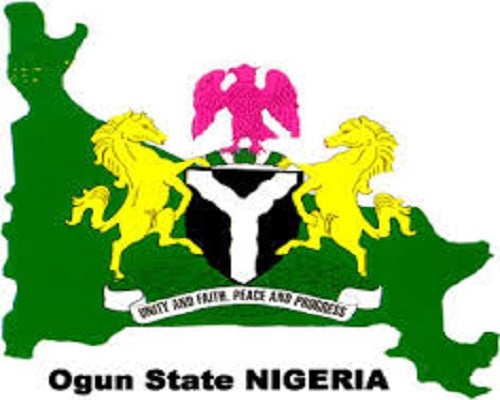 Since then, the Oshiomhole-led National Working Committee has dissolved the Ogun executives of the APC and announced a caretaker committee headed by Yemi Sanusi. Ayobami Olubori was announced as secretary and Tunde Oladunjoye publicity secretary of the committee. On Friday, however, Mr Amosun said the caretaker committee would not succeed in the state. The governor, who is a senatorial candidate of the APC after completing his two terms as governor, said only the dissolved state executive led by Derin Adebiyi would be recognised by the state. He said the executive was created by God through the efforts of the members of the party. Mr Amosun said the Adebiyi-led state executive of the party would spend four years in office despite the purported inauguration of the caretaker committee. “You know me by now. For me, I fear God and I respect people. So, it won’t be because we are afraid or we don’t want to talk. Where we are now, what we should concentrate on is to let them know that Ogun State is the home of President Buhari and we must vote massively for him’. “This is the home of the APC. We are human beings. We are no God and that is why we are telling them that in this coming election in Ogun State, it is whoever all of you (people) decide to back that will win the election.